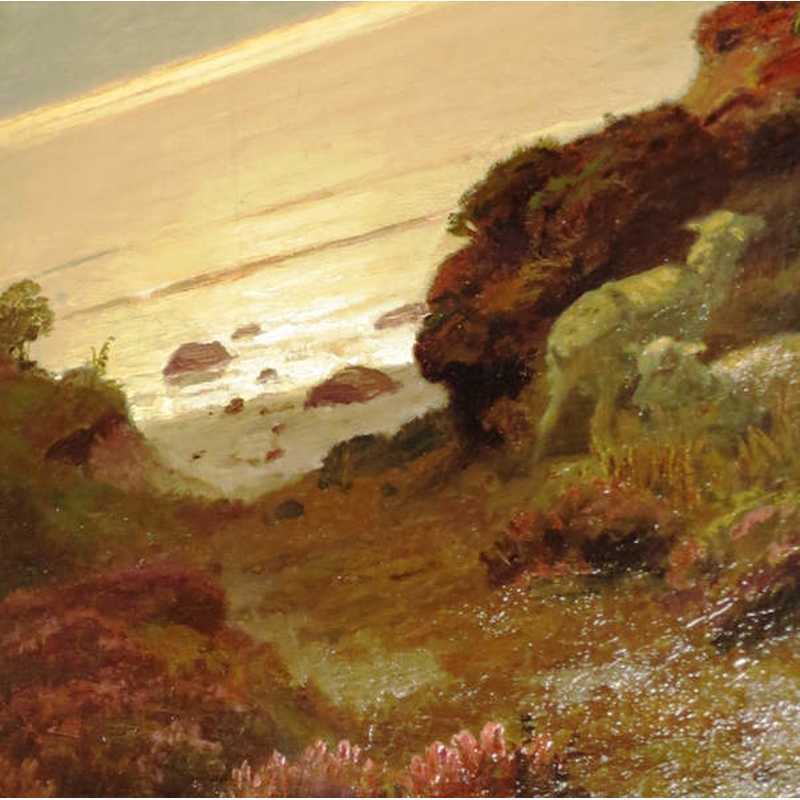 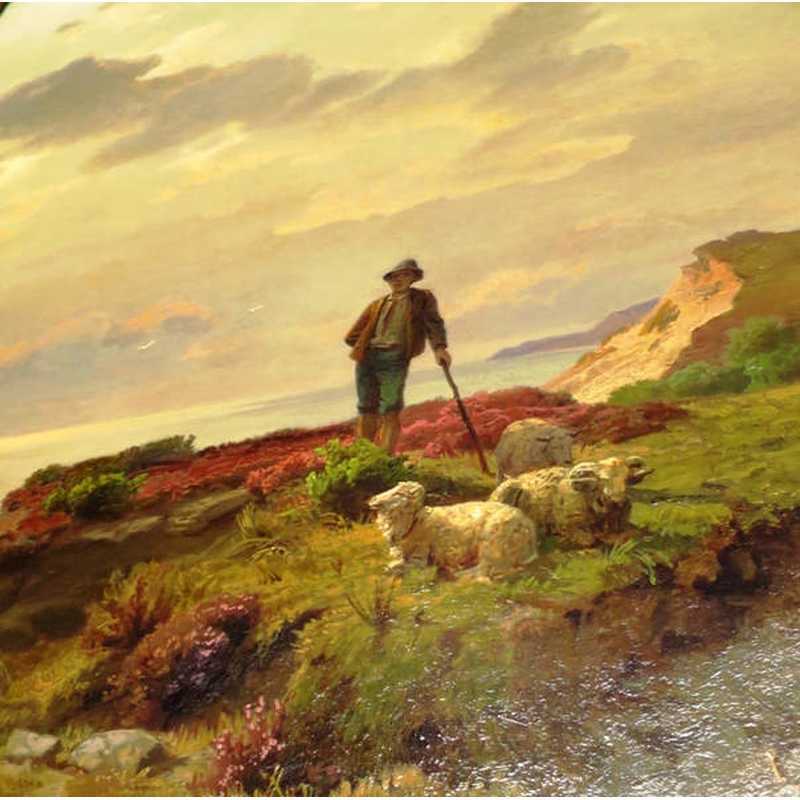 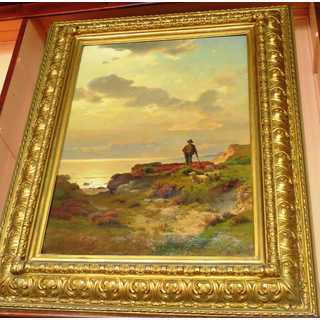 Antique painting showing a shepherd on the Baltic Sea, maybe the <?xml:namespace prefix="st1" ns="urn:schemas-microsoft-com:office:smarttags" />bay of Königsberg. Max Schmidt, born 1818 in Berlin, died 1901 in Königsberg, was studying art on the Art Academy in Berlin. 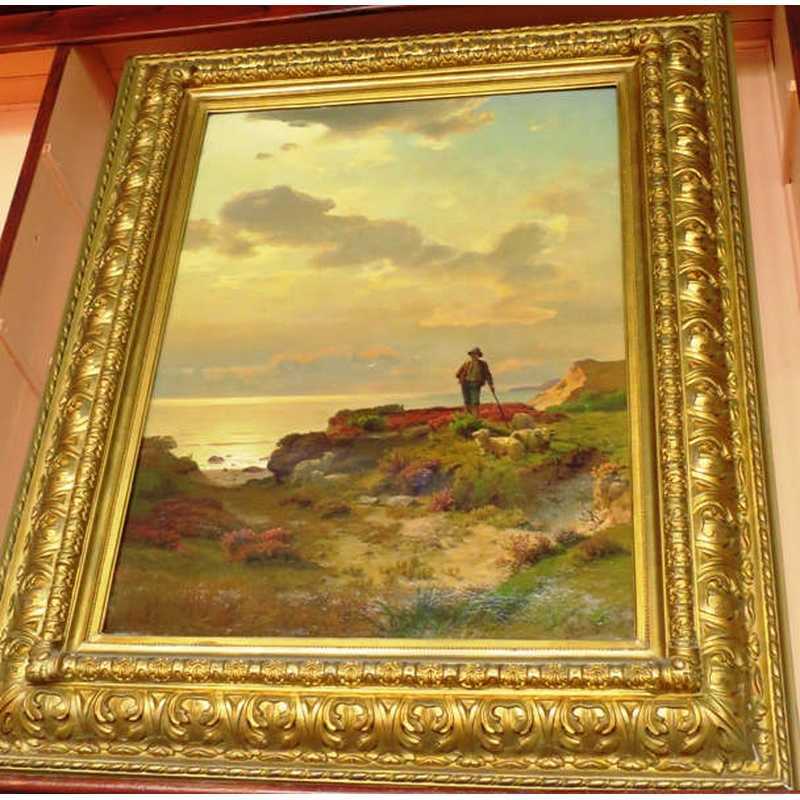 Since 1868 he was a teacher on the Art School in Weimar and since 1872 on the Art Academy in Königsberg, where he was also deputy director in the years 1874-1880 and 1890-1901. 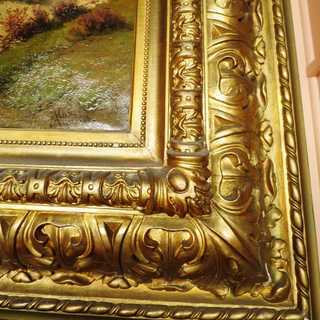 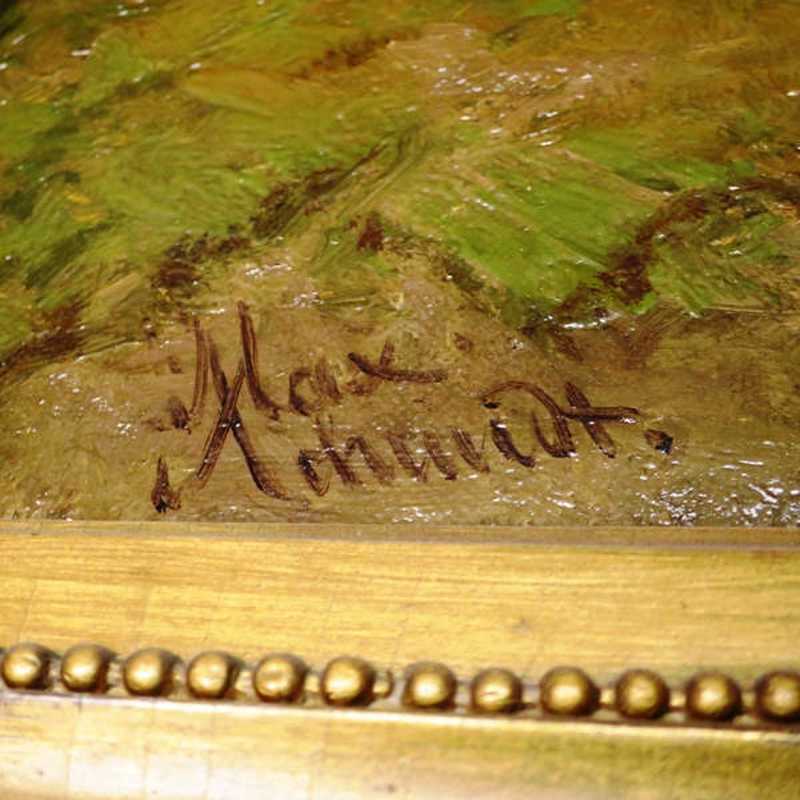 Huge carved and gilded frame, need to be restored. 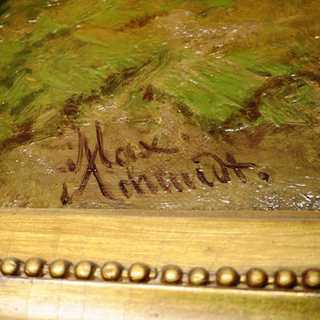 Painting signed, in very good condition. Museum quality.